If you are a photographer and want to buy Phone with a powerful digital camera then you need to check the Panasonic Lumix 101P that is equipped with a 13.2 MP CMOS snapper. I’m sure that many people will like to pick this smartphone only because of this single factor but for your information this smartphone has something more for you such as Android platform, waterproof body and blazing speed of dual core processor. First thing which adds great comfort to Panasonic LUMIX 101P Android Phone is its camera that is categorized among LUMIX line of digital cameras of the company. It is undoubetedly a pocket size digital camera that offers great features to you so that you can get the picture of high quality. The sensor of this snapper gets power from “Mobile Venus Engine” for image processing. This auto-focus camera brings xenon flash for your comfort and ease. Panasonic Camera Phone 101P is running on Android 2.3 Gingerbread OS platform while the processing power of this handset is provided by 1GHz TI OMAP dual-core processor. The processor of this device provides support to Japanese digital TV service so you are free to watch your favorite TV shows. There is a 4-inch, qHD (540 x 960 pixel) touch-screen on which you will see the usual menu, home, and back buttons for Android. 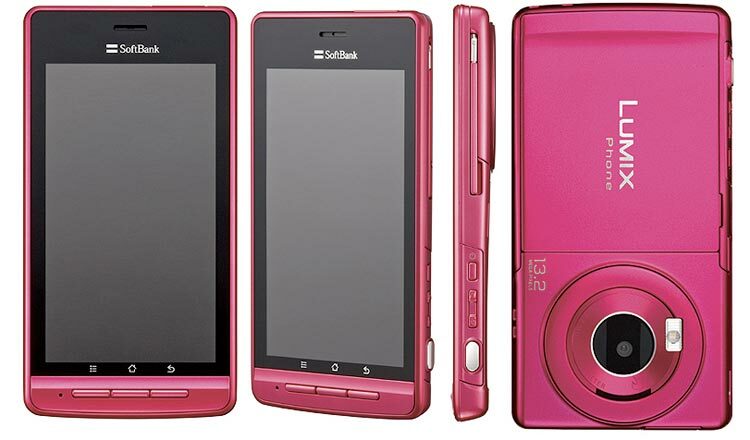 This camera phone will be available at Softbank stores from November 2011 however no detail about the price of this handset as yet. It is possible that the camera Android phone will roll out in the other markets but Panasonic didn’t reveal the global market plan at this time.